! 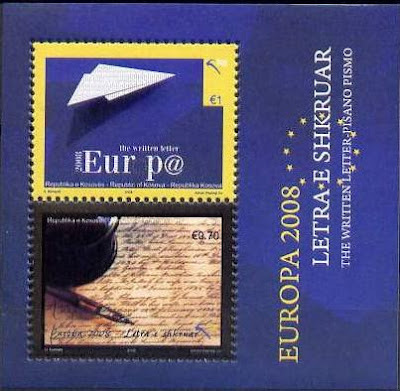 note that the stamp of the souvenir-sheet doesn't bear the official Europa logo ! What to think about it ? For me it's a real scandal ! That's taking the stamp collectors for idiots ! 10'000 copies for an Europa stamp issue is of course by far less than the total number of Europa stamps collectors ! I really don't understand why PostEurop isn't able to deal with it ? They are owner of the Europa logo and Macedonia and Bulgaria are even PostEurop members. Each year it's getting worse. More and more issues of higher facial values and/or of lower issuing numbers !